Aron and sidekick Caroline spent the afternoon running the Grills across the road and did extremely well, selling all the wonderful sausages haloumi kebabs, burgers and lamb kebabs by 4pm. They took in over £800 of which £450 was donated to CHAS. Beautiful day, weather and people. Some really good chats some of which later. 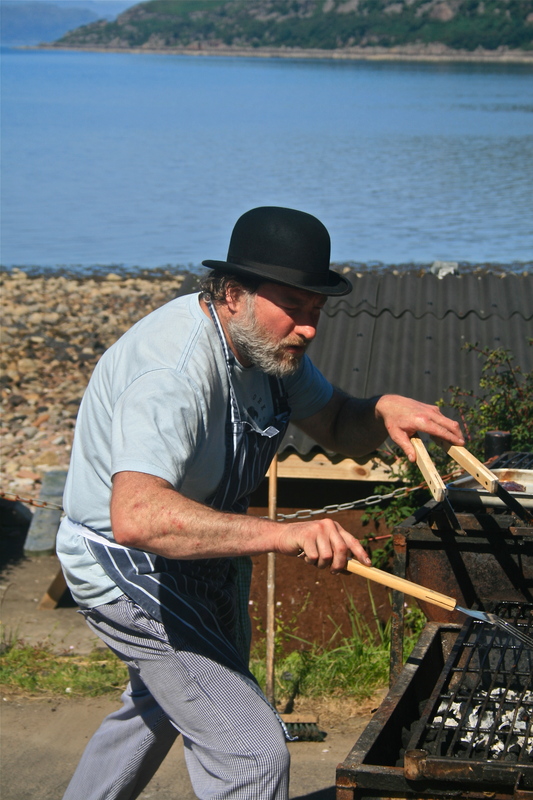 Quote of the day…when we were putting up the gazebo it was dangerously set at the level of Aron’s head, but after a bit of adjustment he decided that it was ok and “I can now cook with confidence”. For those who are worried about supplies in the ice cream department he is now back home catching up. Chocolate and hazelnut is another latest addition. CHAS annual fund raiser at the Inn. 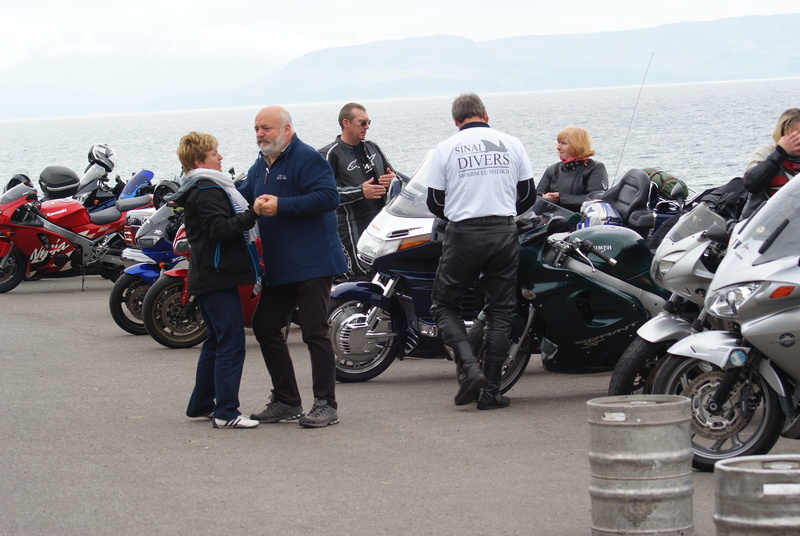 The annual CHAS fund raiser took place at the Inn on Sunday. 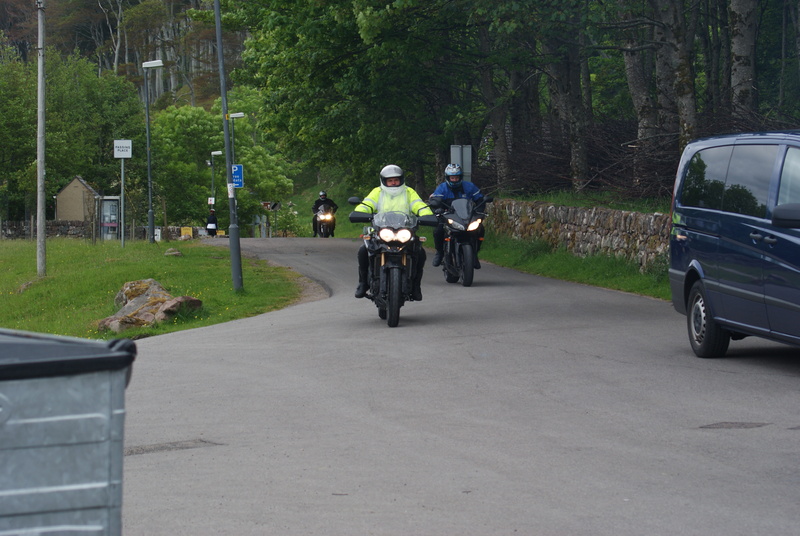 Busy barbecue fed lots of bikers coming from all over Scotland to raise monies for a very worthy charity. A little dancing took place on the street. 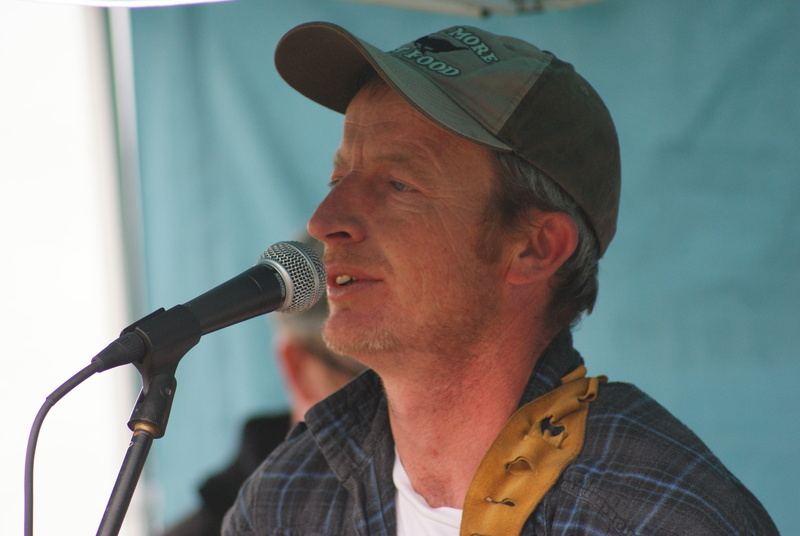 The music was provided by the harmonious local band Coast Road Truckers, Frostie being one of their, sometimes, four harmonies. Transport links from Oban meant percussion was delayed.